Enhance your experience of yoga and deepen your knowledge of this ancient art while sharing it with students in our newly upgraded studio. Beautifully designed with organic bamboo floors, pristine scenery, and all equipment on hand, our studio awaits you and your group! As school lets out we invite you to bring your children and their friends for a personally designed summer camp. Create your own agenda, custom tailor your activities and we’ll facilitate the experience. Delicious farm fresh food catered to you, forest exploration, comfortable accommodation, and time with the cows all contribute to remarkable experiences your group will never forget. Gita Nagari doubles as a productive farm and an eco-retreat center. If you’re looking to reconnect with nature while contributing to a progressive project which has self-sufficiency as its core principle then look no further! Our working farm retreats allow you to subsidize guest rates with some practical service. 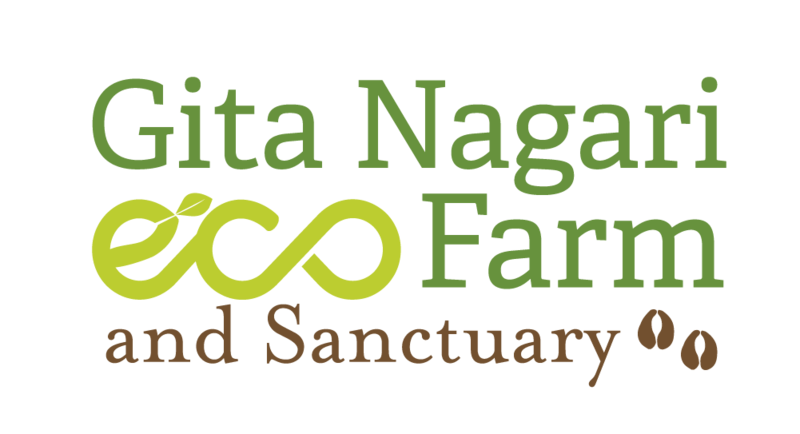 Behind the organic farming principles and the lifestyle of compassion practiced by the residents and volunteers at Gita Nagari lies a deep commitment to personal growth and spiritual development. We invite you to host your own spiritual retreat amidst the tranquil atmosphere of the farm as we progress together.